Click on the pictures, some can be enlarged! 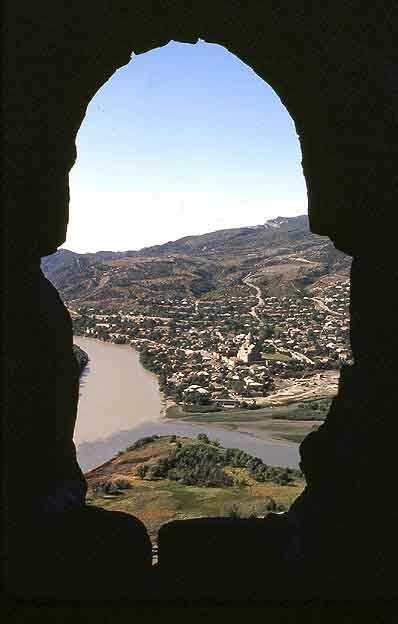 Kartli is the name of the area around Tbilisi taken from the old West-Georgian kingdom, which the Bagrationi established in Mtskheta in the 5th century and later moved to Tbilisi. 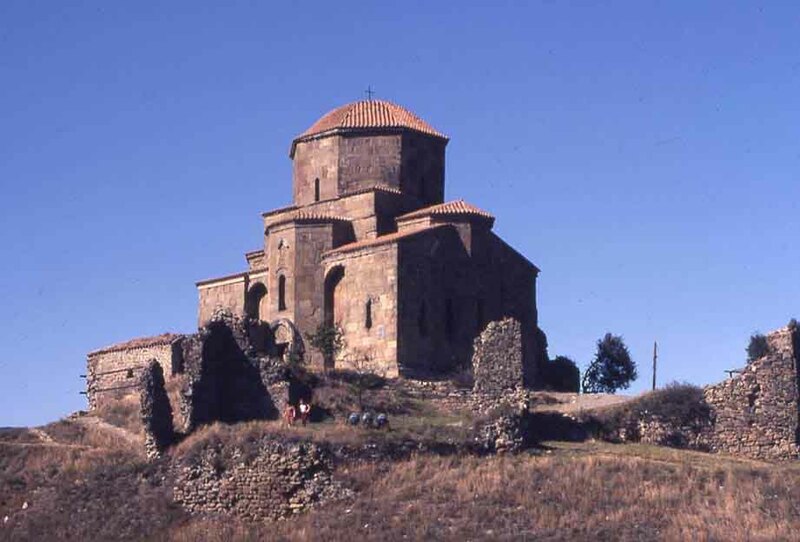 Kartli is not as fertile as the western parts of Georgia, tea plantations are replaced by vineyards, but here are the origins of Georgian culture: Djvari with the church of Nino, Mtskheta (pronounced Mits-kheta) with the royal cathedral, and Tbilisi. 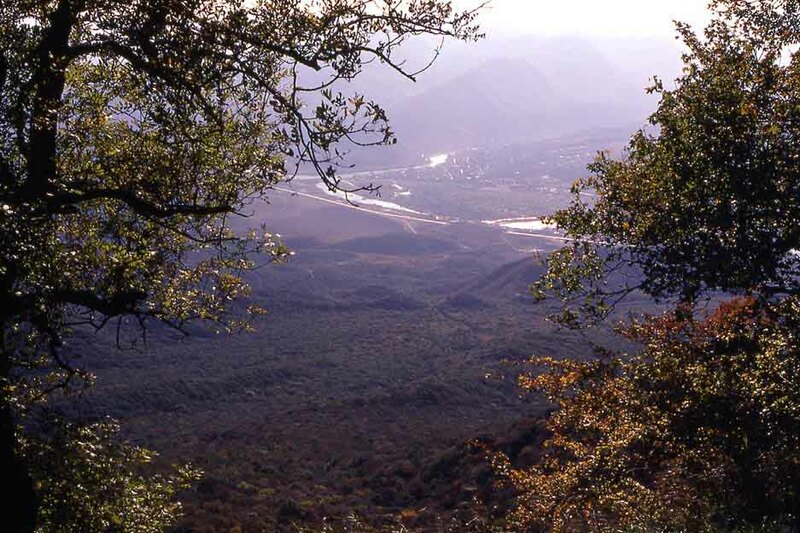 Here are also several places which evoke many fond memories like Zedazeni above Zaguramo, Shiomgvime (pronounced Shio-mig-vime), and Mukhrani and Tsilkani two very old villages virtually unknown outside Georgia. 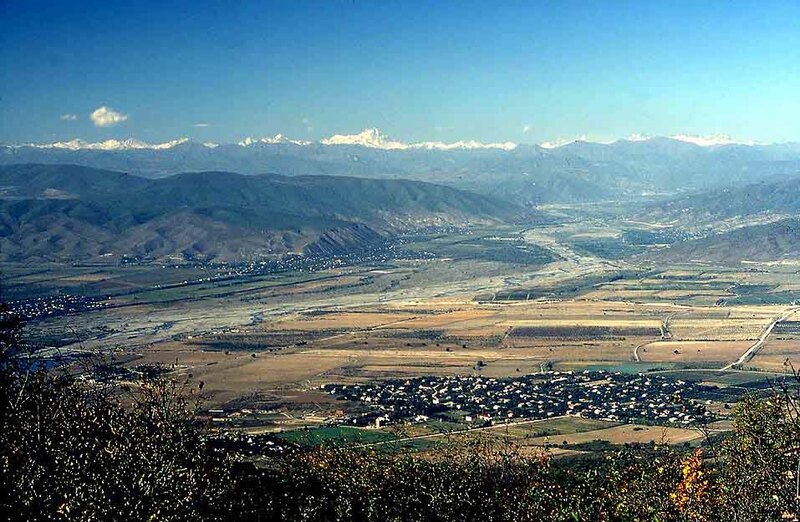 This photo, taken from Zedazeni, shows this heartland of Georgia: the Church of Djvari - the Church of the Cross - on the conical hill in its center, and Mtskheta in the triangular confluence of the Black Aragvi and the Kura. Zaguramo, with the beloved house of Ilia Chavchavadze, is just out of the picture on its lower right corner. Tbilisi is hiding in the haze in the left background. 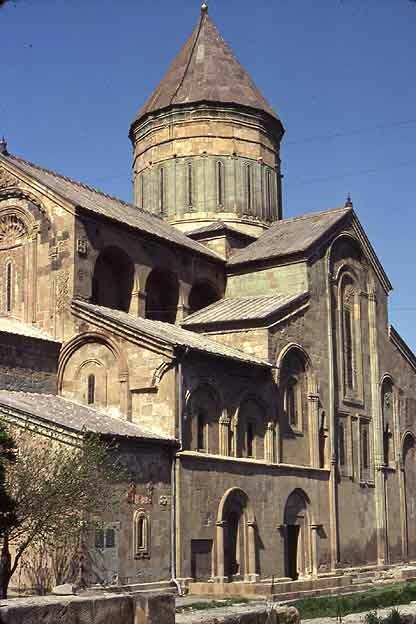 Sveti Skhoveli, the cathedral of Mtskheta, which was the capital of Georgian from the 8th to the 14th century. 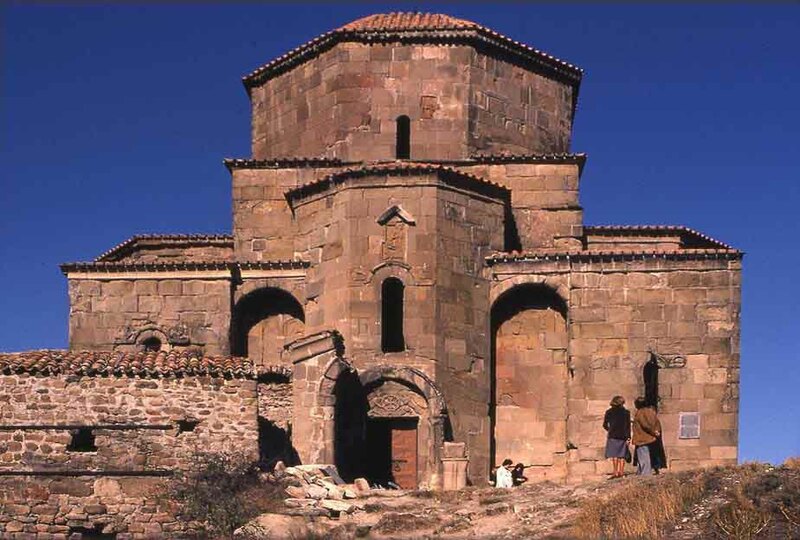 Nino, a woman from Cappadocia, brought Christianity to Mtskheta in the 4th century, and the kings made it their state religion in 337, the oldest Christian kingdom in the East. 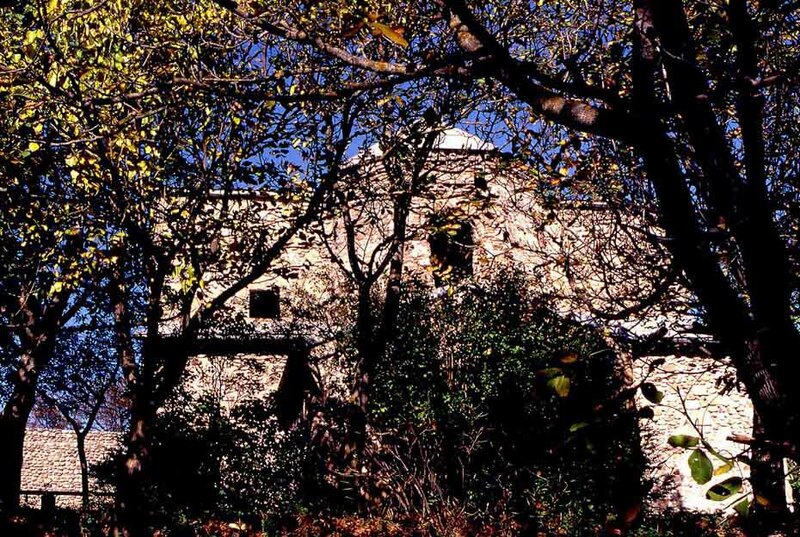 On the foundations of Nino's church Sveti Skhoveli was built in the 11th century. During the following centuries it was enlarged and altered - as one can see from this picture. This beautiful cross, chased in gold sheet and mounted on a wooden frame, which is believed to have been made from Nino's first cross, graces the altar of the church. At its feet are the burial vaults of the kings of Georgia down to Wakhtang XIII its last king, who ceded Georgia to Russia in 1801. 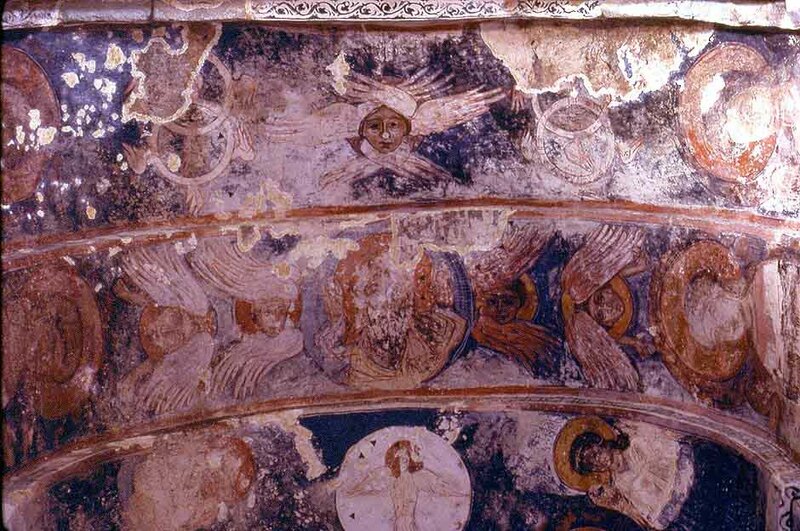 The murals of Sveti Skhoveli are from the declining 15th century and of secondary importance - by this time the great tetramorphs, visible on the left of the apse conch, had acquired winged wheels! This photo was taken in 1976, at which time the iconostasis consisted of cheap modern icons. 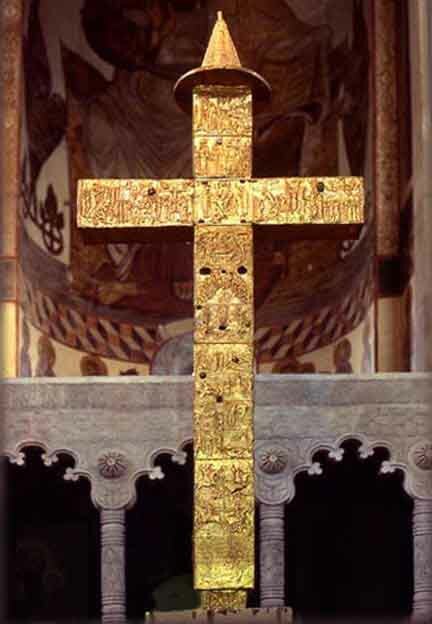 In Soviet times the original cross and the icons had been removed to the Tbilisi Museum. I erased two of these icons between the columns of the iconostasis. Today the old icons have been reinstalled. 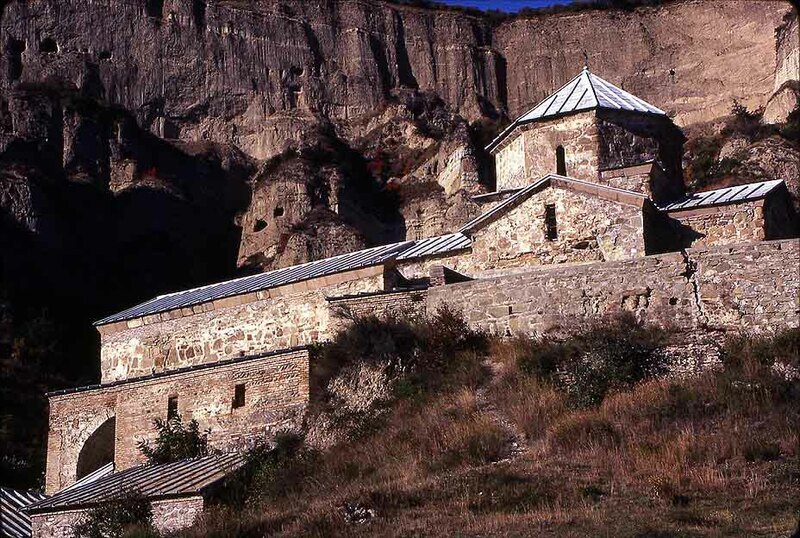 On a hill above Mtskheta rises Djvari, the cruciform church. It is the national-historical landmark of Georgia. 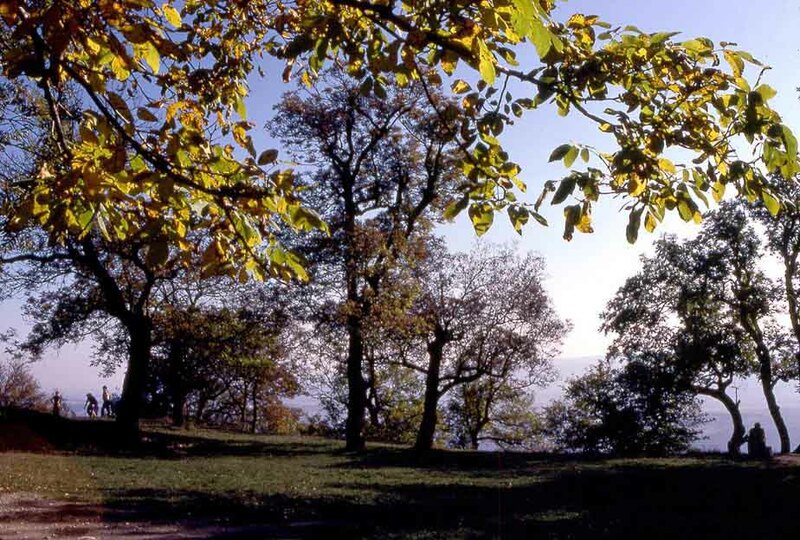 It was built in the late 6th century in the place where Nino had erected her wooden cross. Djvari from the west. Merab and Barbara standing right of center. 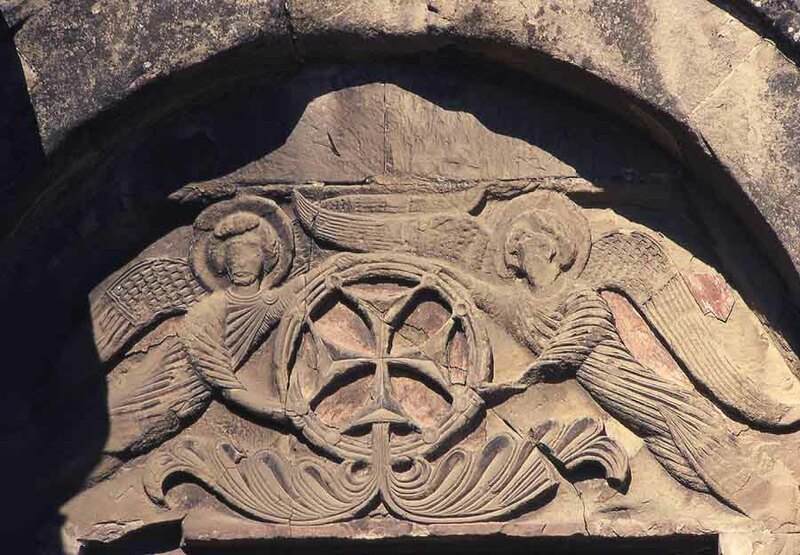 In the sixth and seventh century Christ was represented by the uniquely Georgian symbol of "Raising the Cross" seen here over the entrance to the church. 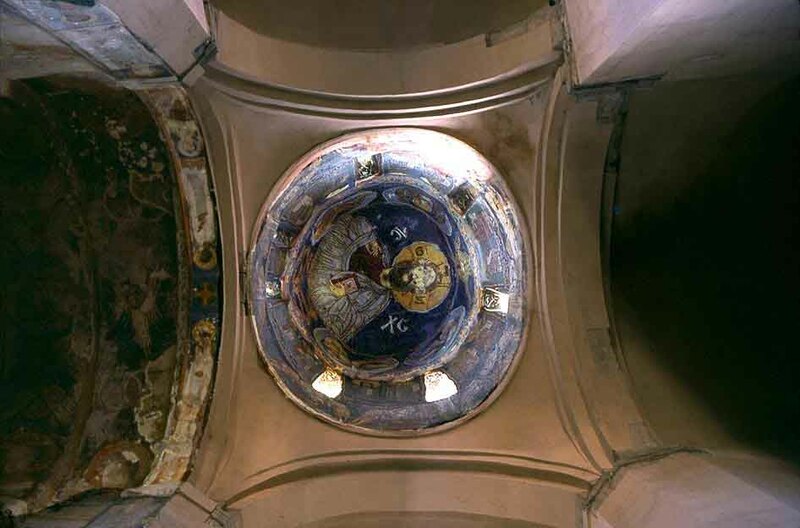 The inside of the dome of the church. 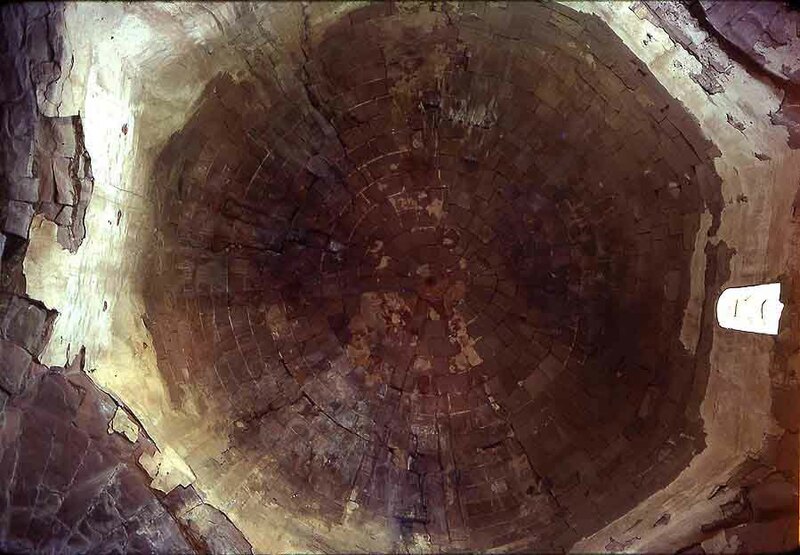 Denuded of any frescoes its structure appears like a large rose. 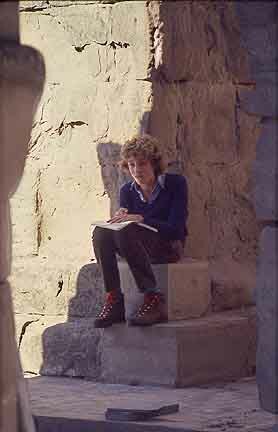 Cornelius at Djvari in 1980 surveying the foundations for a game of "Dungeons and Dragons"
Mtskheta seen through a window in the fortifications of Djvari. 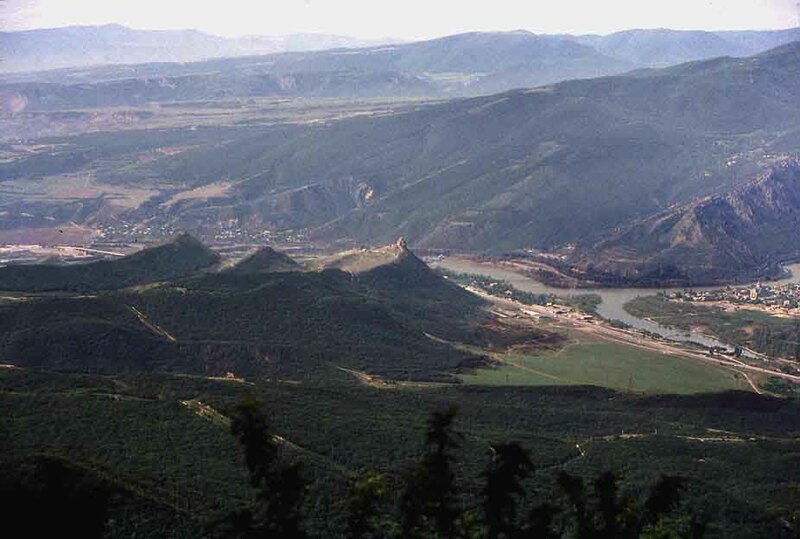 The dark waters of the Aragvi join the Kura which flows southwest towards Tbilisi. The meandering road in the upper center leads to the monastery of Shiomgvime. The Shiomgvime, founded in the 6th century by Sv. Shio, one of the original 13 Syrian fathers - another one was David Garedji - lies in a romantic valley above the Kura (1980). 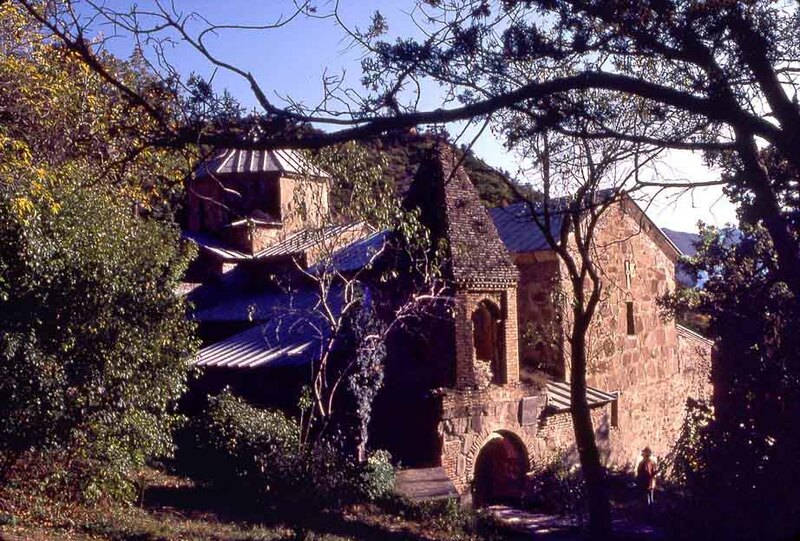 In 1980 there were no monks living at the monastery. Its frescoes were inaccessible. 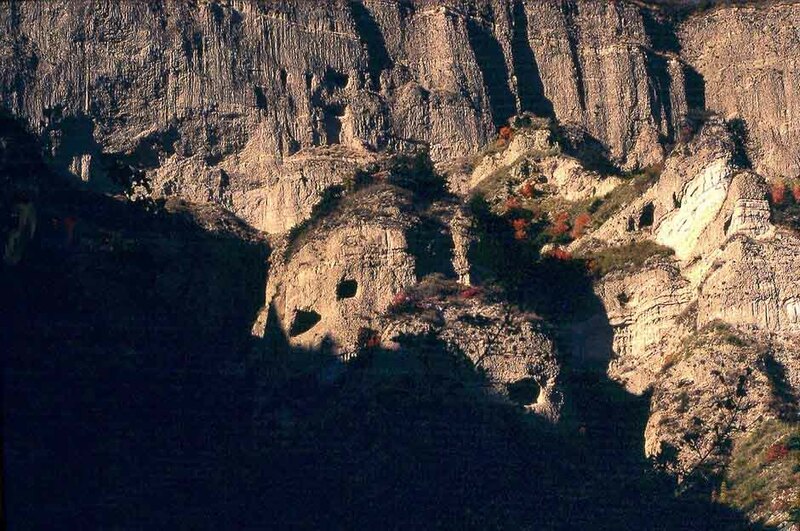 Like in David Garedja the monastic buildings are surrounded by caves in the rock walls in which hermits lived. This scenery has a quality which reminded me of certain places in China. The bell tower is an addition of the 16th century. 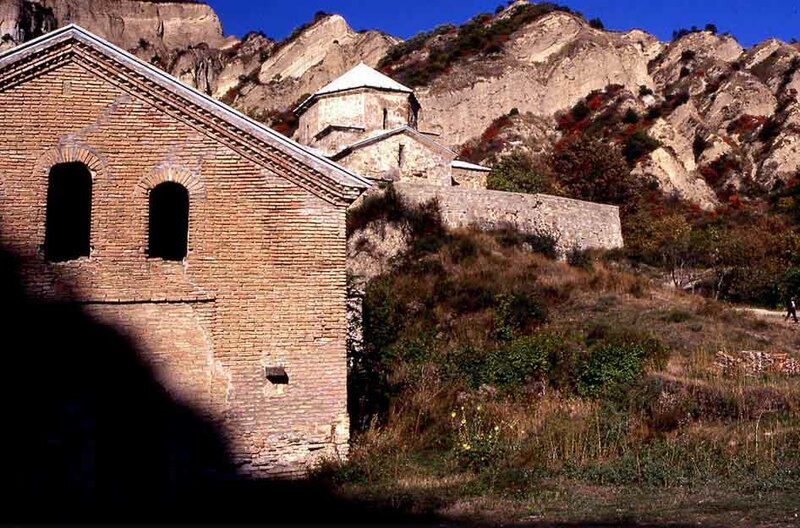 Tsilkani is a forgotten farming village northwest of Mtskheta. 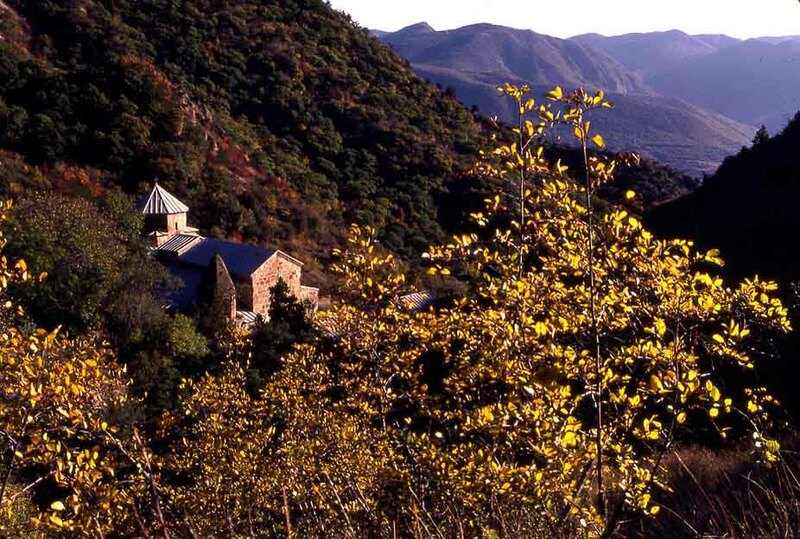 Its church, one of the oldest in Georgia, was founded in the 4th century by an early Bagrationi of Mukhani (Oak-Woods) the name of this valley and another now unimportant village nearby. The area has been occupied since prehistoric times. 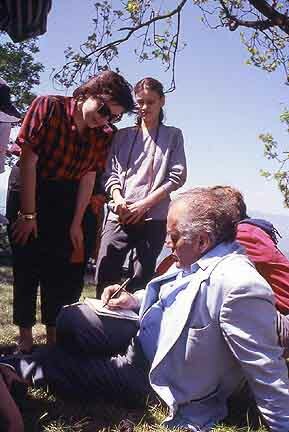 At nearby Dzalisi remnants and mosaic floors of a Roman town of the 2nd century AD have recently been excavated by Otar Djaparidze, Tamriko's father, and his students, which Cornelius and I visited in 1989 with Merab. 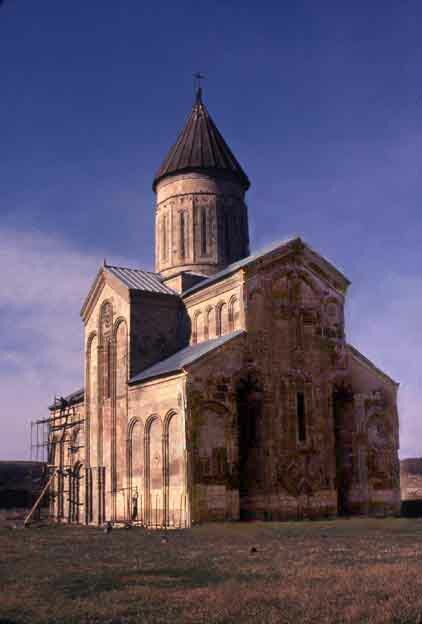 The present church at Tsilkani, to judge from its architectural style, must date from the 12th century. 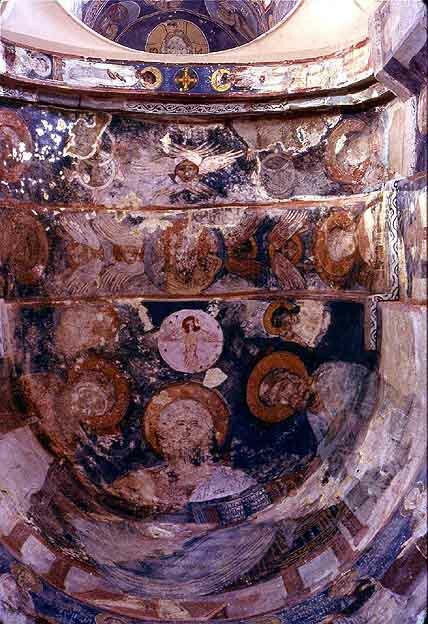 Its interesting murals appear to have been painted in the middle of the 13th - as the image of Christ in the apse conch indicates. Tsilkani, the exceedingly high dome of the church from the inside. 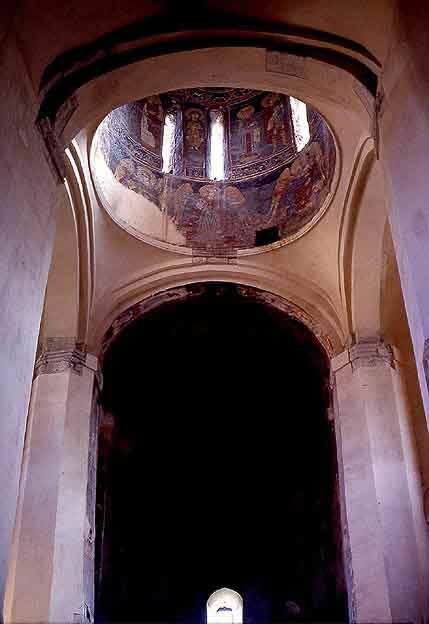 Christ in a deesis in the apse conch. An unusual multitude of tetramorphs and equally unusual a depiction of the Holy Spirit as a man-bird. 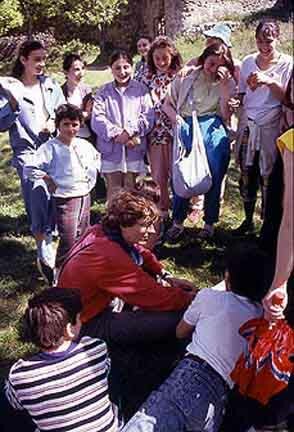 In 1989 Merab, Cornelius, and I were surprised by this cheerful group of gogonebi - girls from Tbilisi. 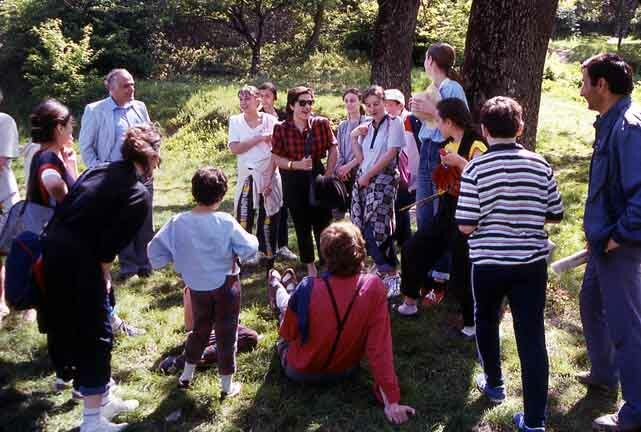 They were especially fascinated by Cornelius in his red shirt who spoke a smattering of verbless Georgian - Sophiko had never got as far a teaching him the complicated Georgian conjugations. Cornelius surrounded by girls and Merab patiently writing down Corneliusi's name and address in beautiful Georgian letters: "Los Angeles! Hollywood! Are you movie star?"